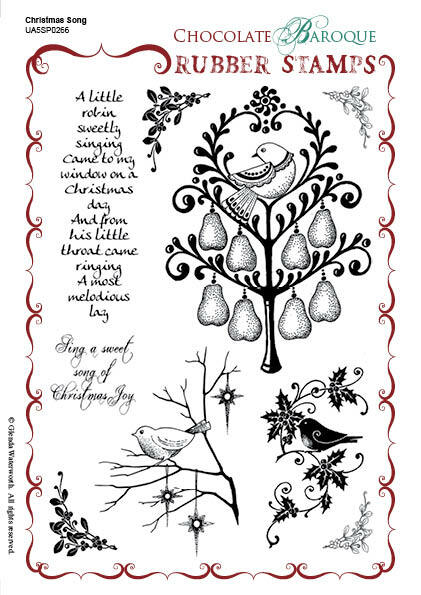 This rubber stamp set contains a stylised partridge in a pear tree together with a couple of designs featuring robins and some corners and phrases. A sweet little selection of stamps that arebound to become a craft box staple. I think you have the most beautifull stamps, I have already some of them and I really like to have some more, but my deliverer " one of the netherlands doesn't answer me anymore, so perhaps it will be better to order your beautifull stamps on Úour side directly. Time to get cracking on those Christmas cards! 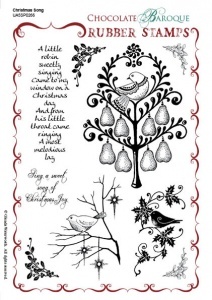 What better than this stylish set of rubber stamps?